The decision to start a home renovation project can be an exciting one. Home remodeling is one of the bigger investments homeowners will make, whether it’s to update a kitchen, add a garage or create a family room to enjoy, the choices you make for the project will be huge. If you make a mistake and need to make changes, it can quickly add up in cost. To help avoid problems and extra time or costs, there are ways to visualize your project and the outcome of it beforehand using 3D rendering services from reputable companies like the one found at https://www.rendersmart.com.au/3d-rendering-perth. There are numerous benefits of using visualization or 3D rendering services for your next remodeling project. A 3D rendering will allow you to get a full idea of what your completed project will look like once done. Many people have a hard time getting a good idea using 2D floor plans alone. Seeing your renovation project in a 3D visual display will offer a more detailed and realistic view of the project. It can make it easier to place walls and cabinets and understand how the lighting will affect the changes you plan to make. When using a 3D rendering of your proposed remodeling project, you and the contractor will be able to understand the complete and full scope of your project better. This will lead to a reduction in possible errors that could be found later in the project when it is too late to make changes that won’t cost you money. When you have a 3D rendering completed for your project, you will be able to bring your idea to life before the construction even begins. This allows the homeowner and the construction crew the ability to make any necessary changes before getting started. Being able to make changes beforehand will save time and money for everyone involved in the renovation process. 1. 3D Photo Montage – This type of rendering will include a combination of photos for the planned project. The montage will come together to create a photo-realistic impression of the renovation project. 2. 3D Floor Plan – A 3D floor plan rendering will offer a perspective view of the layout for the renovation project. The main benefit 3D floor plans offer is a sense of mass that is ideal for those customers who have a hard time visualizing project outcomes using 2D plans. 3. 2D Floor Plan – These types of floor plans offer homeowners the ability to have a birds-eye view of a renovation layout. This is generally the quickest, easiest and most affordable way to render a design for a project. 4. 3D Walkthrough Animation – For homeowners who want to really put their remodeling project ideas on a center stage for review before starting a project, a 3D walkthrough animation should be considered. These animations can be created with the finest of details added to them. This will give homeowners the ability to get an experience of what the finished project would look like almost similar to the real thing. The walkthrough animations offer the chance to see many aspects of your project idea including lighting, materials, finishes and textures all brought together. 5. Artist Impressions – A great option for transforming your home renovation design plans into reality is by using an artist’s impression. When it comes to the concept of a renovation design, the ability to see the way the finished project will come out is much better than hearing how it could come out. Artist impressions are a great design rendering tool homeowners can use because it offers them the ability to see colors, different perspectives, types of material options and lighting options for a proposed project design during a home remodeling project. 6. Home Renovation Apps – There are many free and paid versions of home renovation apps you can download onto your smartphone or tablet. Each app will offer different features to use. With these apps, you can personally design your own renovation project by creating a floor plan that matches yours. The features will allow you to rearrange walls, add or take away windows and change the placement of furniture. 7. 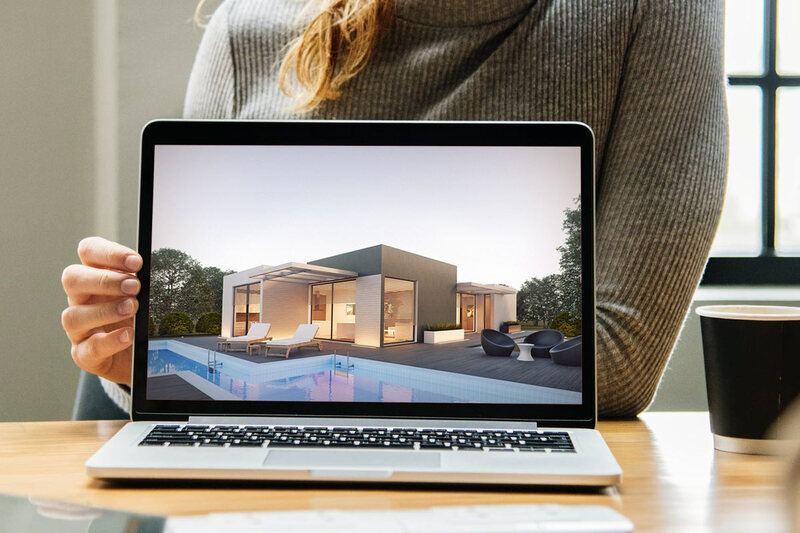 3D Architectural Rendering And Visualizations – Each type of rendering will make the process of planning and implementing a home renovation project much simpler and error-free from start to finish. Home renovation projects typically start with an idea or a dream. However, without proper planning, your dream renovation project could end up turning into a visual and financial nightmare. Below are a few tips to take into consideration before creating and rendering your home renovation project design into fruition. Draw Your Idea – You don’t have to be a professional 3D design renderer to take some time and sketch your home renovation ideas. This should be done before you even contact an architect or home construction company. Any sketch, good or bad, will help you relay your ideas to the actual designer in a way they can fully understand. Learn From Others – If you want to avoid common home renovation mistakes that can cost a fortune and waste time, you can follow experiences from other homeowners who have gone through their own projects. Many websites online contain the chronicles of homeowners throughout each phase of a renovation project. Many websites also have forums where you can talk to other homeowners and ask them questions and get opinions on aspects of your project. Consider Cost – Before you contact a home renovation construction company, you need to set aside some time to come up with your budget. More often than not, home renovation projects end up costing more than you plan for. Before you get your heart set on specific types of materials and changes, have some more affordable back-up choices ready to go to keep you within your budget. A few must-have items during your project could wipe out your entire budget if not careful.